Till date, we have seen rumours about Motorola's Moto Z2 Force and Z2 Play, the successors to the first generation Moto Z phones. 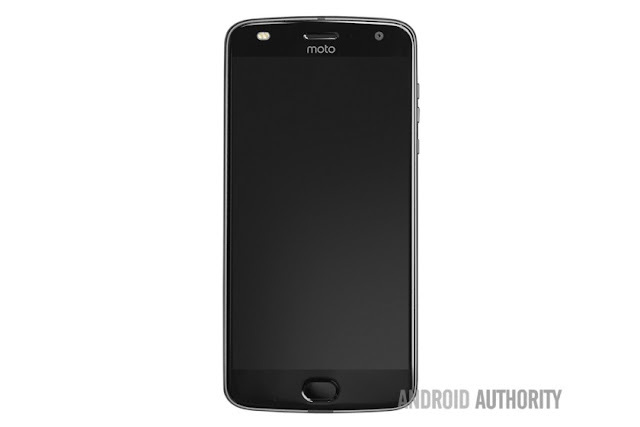 But there was nothing about the standard Moto Z2. The Moto Z was one of the thinnest smartphone available right now. Some leaks suggested that Motorola is killing the standard Moto Z2 to focus on a standalone flagship and the phone was also not shown in the Moto roadmap leaked last week. But am an image of Moto Z2 has emerged online for the first time on the internet, thanks to Android Authority. The Moto Z2 will look similar to the Moto Z2 Force, but it won't feature a shatterproof display. And the design is on par with the Moto G5 series with an oval shaped fingerprint scanner at the front. Specifications of the device are still unknown, but it will feature the same hardware as Moto Z2 Force, minus the shatterproof display and bigger battery.